I think of myself as a down to earth guy in the kitchen. As with most things in life, it’s important to take care of the basics first. Fresh food, sharp knives, clean counters, and so on. This is why some people laugh when they discover my array of fancy coffee-related equipment. 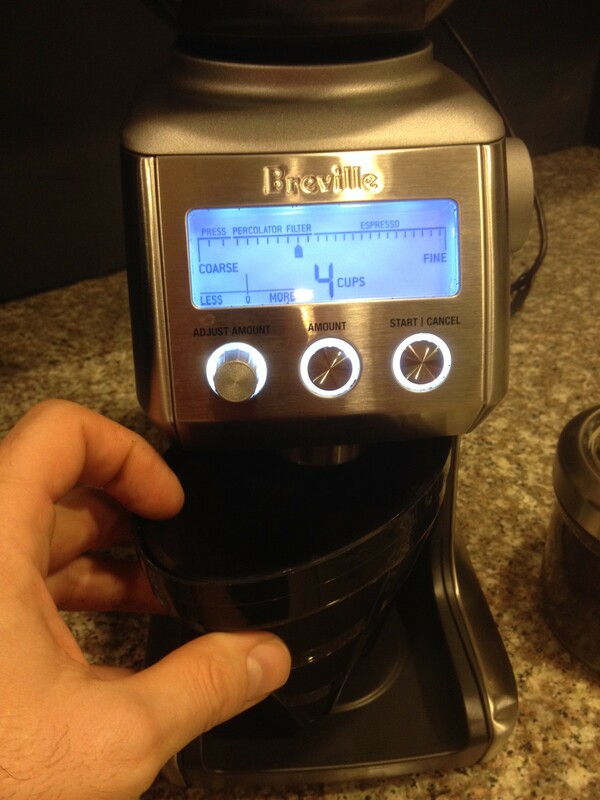 The Breville Smart Grinder. Maybe a bit of a luxury, but it’s easy to use and clean. And I use it every day. So maybe I have to give up Starbucks for a couple of months…! Life is too short to drink bad coffee. And though you can make a good cup of coffee with basic equipment, I prefer to make a fantastic cup of coffee. We have a number of different coffee machines in our house: french presses, an old school moka pot, a drip machine for family gatherings, even a ROK manual espresso maker. Each one performs best with a different grind. We used to use a little Krups coffee grinder from the grocery store to grind coffee beans. You could only grind a small amount of beans at a time. 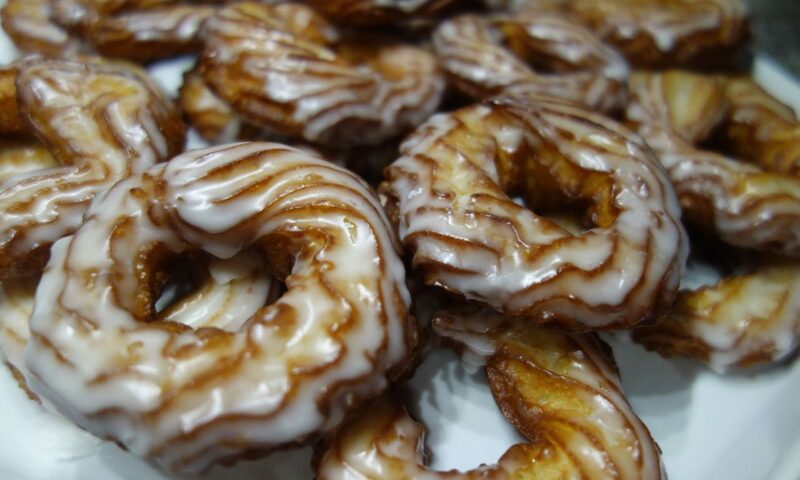 In each batch, the coffee at the bottom was always ground to powder. I would carefully save this for espresso, but then I wasn’t able to have freshly ground coffee for my espresso. And we were always just guessing about how fine the grind was. If you opened the grinder to check, it made a mess. So there’s some inaccuracy, some inefficiency, some waste of coffee, and sometimes not the best coffee. I know what you’re thinking: How can you live under these conditions? Exactly. This is how I justified splurging on a new, state-of-the-art grinder. With this grinder, you dial the type of grind (filter, press, etc. ), enter the number of shots or cups, and the brew strength you want and it automatically produces just the right amount in the correct grind. It’s perfect. Easy and fast. I have only had it a couple of months now, but so far this is the best home grinder I’ve ever had.